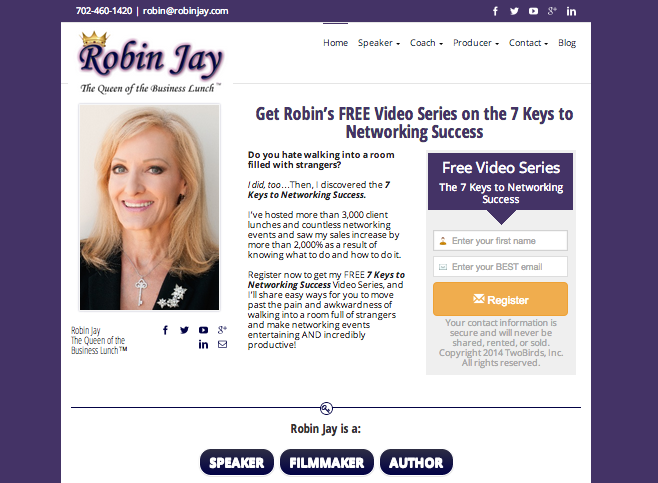 As the president of the Las Vegas Convention Speakers Bureau, a published author, and a filmmaker, the website design of Robin Jay really mattered. Her previous website was very optimized for SEO, but it resulted in a lot of links all over every page, and users were confused from her homepage onward about what they were supposed to do next. In addition to website design, Robin also wanted a content marketing campaign to bolster her credibility as a thought leader, and create a revenue stream through affiliate marketing. A few marketing consultations led me to uncover who her ideal clients really were, and structure the email signup form’s call-to-action around providing value to that audience. 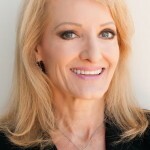 The foreword to her book, The Art of the Business Lunch, was written by Brian Tracy. He had also given her a great testimonial, that we displayed on the front page. She knew Brian had a bunch of products for sale, but had never really done any affiliate marketing before. So I created new affiliate accounts for Brian’s products, and wrote 7 long, content-heavy autoresponders to go out to her newsletter subscribers. 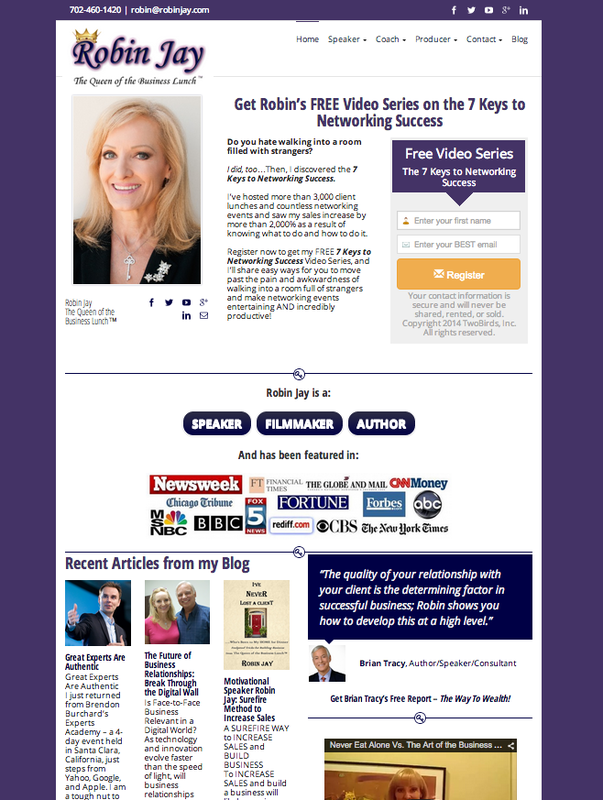 These autoresponders all described a problem that Robin once faced in running her public speaking business, and how she used the strategies in Brian Tracy’s program to solve the problem and become more successful. Each autoresponder ended with a call-to-action to purchase the product, and now Robin has a passive revenue stream that grows with her newsletter list. You can see an example of one of the emails here. These emails, now that they are composed and set up in her autoresponder program, are mailed out passively to new subscribers over the course of a year, and Robin doesn’t have to do a thing. Her new website design is responsive, and looks great on any size screen. 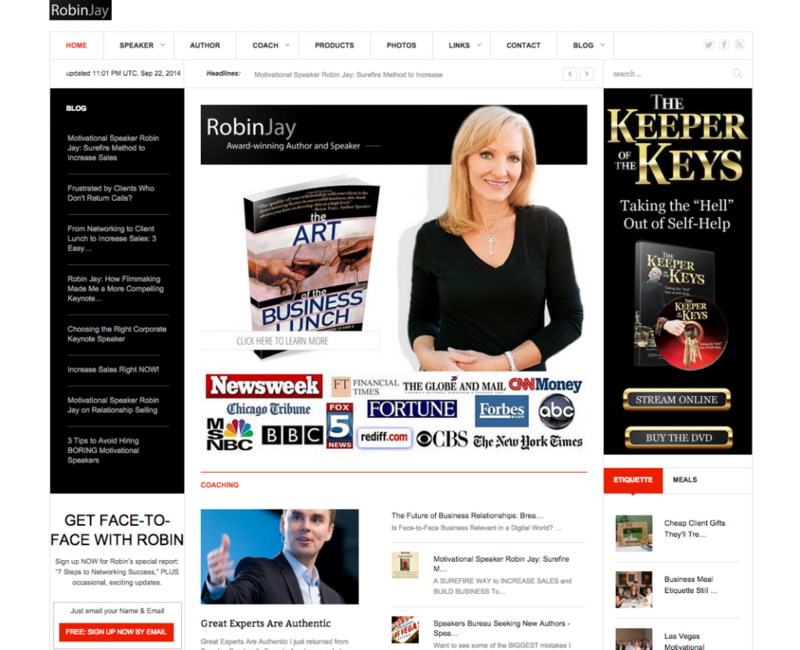 Take a look at http://robinjay.com.